It is, perhaps, our most favorite time of the year. Why, you may ask? Well, CATERSOURCE 2015 is almost here, that’s why! Yes, friends and fellow event planning professionals, our favorite catering and hospitality conference is almost here, and we're looking forward to seeing all of your fabulous faces! 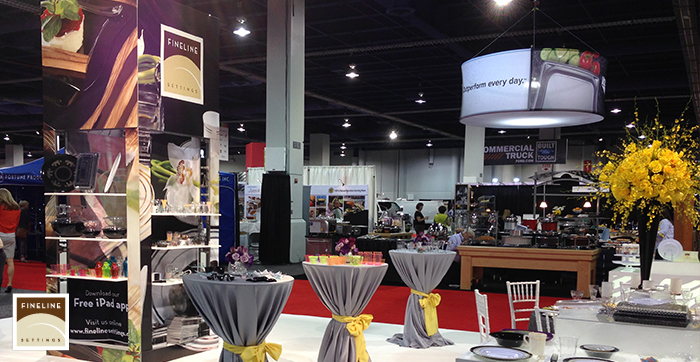 FINELINE SETTINGS IS HONORED TO BE CRYSTAL SPONSORS FOR CATERSOURCE 2015 this year; and it is always a great pleasure in seeing hundreds of the leading authorities from all facets of the hospitality industry showcasing their products, experiences, and expertise during this unmatched culmination of INNOVATION and EXCELLENCE! WE LOOK FORWARD TO AND PREPARE FOR THIS CONFERENCE ALL YEAR LONG so that we can continue to provide those of you who are kind enough to come visit our booth, with a superb and stellar experience. From March 10th through March 11th, Catersource will host top-of-the-line products and vendors- including, of course, Fineline Settings! Hosted by CAESARS PALACE HOTEL and CASINO in Las Vegas, you’ll be able to find the FLS team at BOOTH#1006! With leaders in the hospitality, entertainment, and catering industries (just to name a few), your event planning senses will be heightened as you learn and contribute to everything that makes Catersource spectacular! We can't wait to hear from YOU and all that YOU have to offer! COME BY TO SEE OUR 60 NEW PRODUCTS & PRINT-ON-PRODUCT FEATURE! 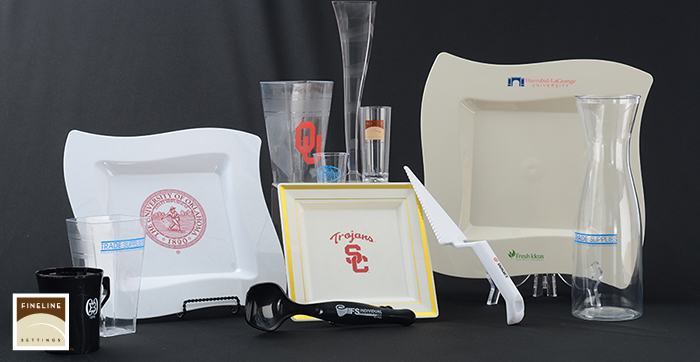 We’ll wow you with our expansive selection of new items, some of which include our new Tiny Domains, and Tiny Trays! We've been tirelessly preparing, and now we're ready and excited to show you the latest way you can now leave your mark on your future events with our new PRINT-ON-PRODUCT option! Showcasing these awesome innovations will be our expert Sales team; and they're ready and looking forward to answering any and all of your questions so that you'll serve your guests with the Fineline Settings confidence! When you're done spending some high-quality time with us, assure that you take part in the many seminars and discussions that will be guided by the top industry professionals from multiple fields to help you continue to excel and exceed expectations at all of your events this 2015! Don’t forget the age old saying: what happens in Catersource... will stay with you! See you at the palace, folks!